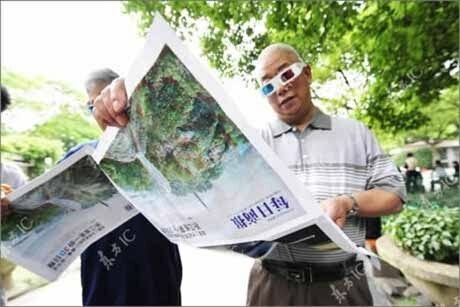 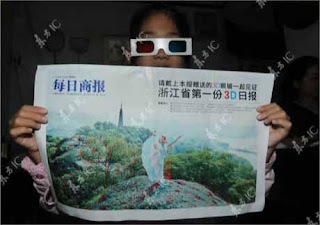 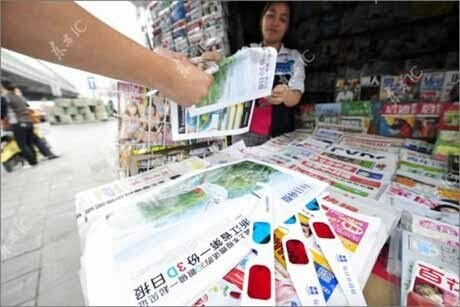 3D Newspaper Technology in China. “Shiyan” Evening News newspaper, published on April 16th. It composes of 16 pages and a pair of 1960’s style 3D Glasses is included. 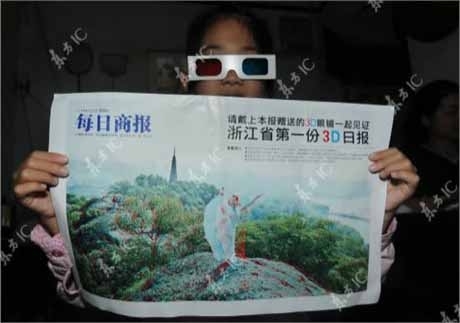 However, the 3D trickery may only be used in few advertisements in the newspaper.3D Televisions had launched by the Chinese manufacturers and we have got the 3D newspaper in China now.